Valen Machinery Parts Co., Ltd is one of the leading manufacturers and exporters of high quality motorcycle sprockets in China. Established in 1976, Valen Sprocket manufactures sprockets for several models such as Honda, Suzuki, Yamaha and Kawasaki. Also, we make production according to customer's requirements and customization. We have been serving customers abroad for over 10 years with competitive price and providing high quality products and punctual service to satisfy our customer's needs. 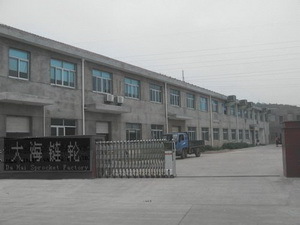 Valen Sprocket is located in Renqiu City, Hebei Province, the motorcycle sprocket manufacturing center of China --- and 90% of motorcycle sprockets in China are manufactured here. And there are a total of more than 90 machines in our plant. We can satisfy the most stringent requirement using modern machines according to drawing or sample supplied. Our production facilities are capable of production over 7 million pieces of motorcycle sprockets per year. We are proud of our continuous success and steadily growth especially in the world market and we have a strong established export network covering Indonesia, Vietnam, Philippine, Malaysia, USA, Brazil, India, Pakistan and other countries.